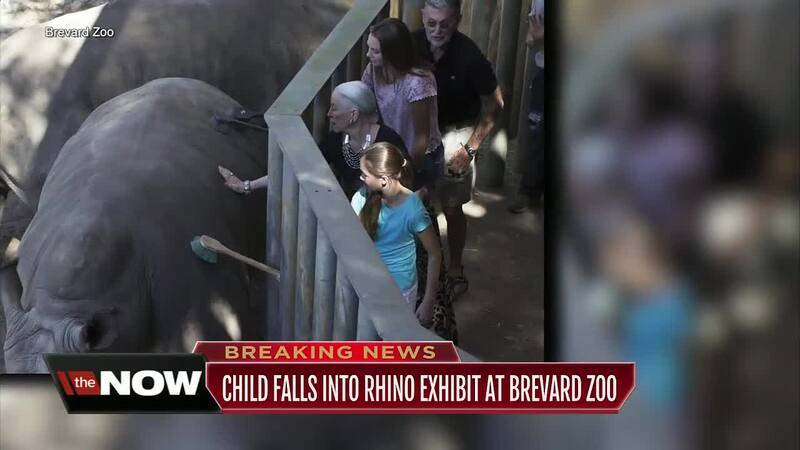 A child was transported to the hospital on New Year's Day after falling into the rhinoceros exhibit at the Brevard Zoo, officials say. Brevard County Fire Rescue said that the child was transported to the hospital under a trauma alert status. The condition of the child is unknown at this time. Firefighters say that the child's mother was also transported to an Orlando, Florida, hospital for treatment. Today has been a trying day for our family. We’re thankful to everyone who has reached out with their concerns. Our daughter is in good care at Arnold Palmer Hospital and is doing well. My wife was also treated for her injury and has been released from the hospital. At this time, we ask for privacy as we focus on our daughter’s recovery.